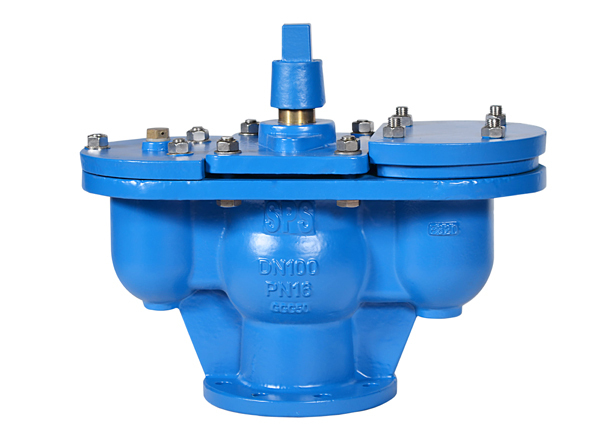 Sluice valves are also known as gate valves or shut -off valves . These valves are provided to regulate the flow of water through the pipe by dividing the mainline into several sections. These valves usually placed at the summits of the pressure conducts where the pressure is low ,thereby requiring low strength and less cost. The water flowing through the pipe line always carries some air with it .This air tends to accumulate at the summit of pipe line. Due to the accumulation of air ,a backward pressure is created which causes a blockage to the flow of water .So the air relief is provided at the summit point on upstream of gate valve to release the air pressure . 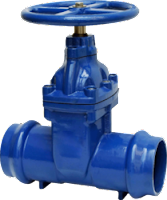 Air inlet valves are also provided on the downstream side of gate valve to compensate the negative pressure developed ,by allowing the air to enter into the pipe. source Saudi Pipe Systems Co. These possess some automatic device which allows the water to flow in one direction only .This valve is provided in the pipe line which draws water from the pump. When the pump is operated ,the valve is opened but when the pump is suddenly stopped the valve is automatically closed and the water is prevented from returning to the pump. 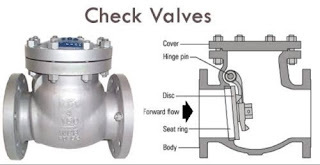 Scour valves are also known as wash - out valves .These are similar to the sluice valves ,but the function is different .Scour valves are provided at the dead end of the pipe line .The function of this valve is to remove the sand ,silt etc .